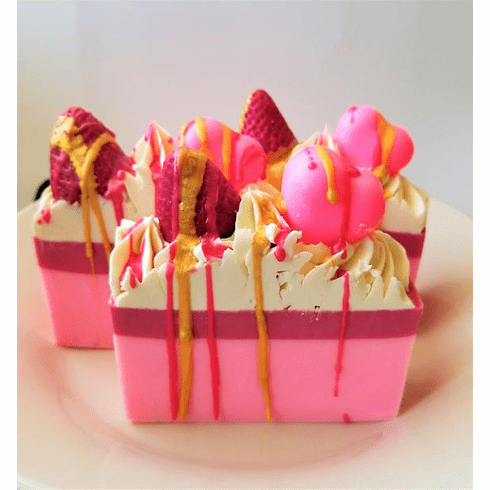 This lovely soap is scented in a decadent strawberry shortcake fragrance. Decorated with piped soap, a soap strawberry, a pink soap heart, and drizzled with soap. Made with coconut oil, olive oil, shea butter. Weighs approximately 6.5 ounces.